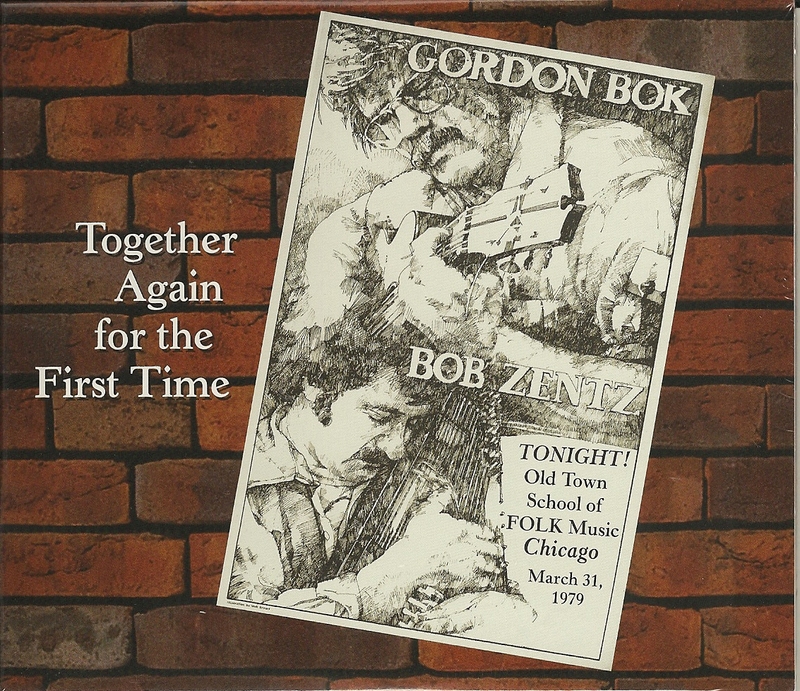 Live recording of Gordon Bok and Bob Zentz in concert together in Chicago, March 31, 1979. Relive their experience in this wonderful 2 CD set. "... [T]win treasures...A two CD-Set of 33 tracks with in-between introductions to each in a cardboard, three-part fold out case that has the most fabulous documentation of any CD, single or set I have seen in a long while!... Right from disc one's first selection "Picker and a Grinner" to disc two's last selection "Daddy Don't You Tell No Lies", they are gold mines of old songs that are far too rarely heard nowadays..."
~ Gerry Taylor, Folk and Music columnist, New Brunswick Telegraph-Journal. "One thing in particular that I like about that concert is the relaxed, easy spontaneity of it, just two old friends getting together to make music - no pretentiousness, hype, or affectations. It's no wonder that the crowd needed little persuasion to sing along."